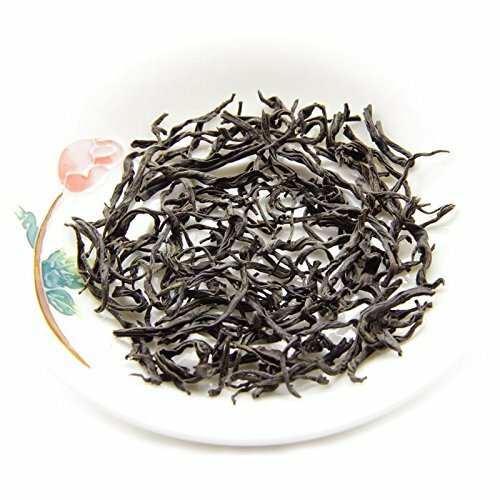 What is Fujian Wuyi Lapsang Black Tea? Lapsang Souchong originates from the Wuyi Mountains in Fujian, China. The Fukienese word 'souchong' literally means 'little variety' or subvariety.This special fragrance tea has a distinctive flavor sometimes referred to as tarry, and is a special tea from Fujian province. The Fukienese word 'souchong' means sub variety - that is a sub variety of other black teas from the Wuyi Mountains of Fujian. When Lapsang Souchong was first exported to western European countries and became famous on the international markets - it was no doubt due to the distinct aroma and flavor. Interestingly the best Lapsang is produced in the nature preserve located in the Wuyi Mountains where the high mountains with thick pine forests and heavy mist provide the ideal environment for growing top quality tea. THE SOUP: The clear liquor has a bright red color with a thick and smooth texture. If you have any questions about this product by Lida, contact us by completing and submitting the form below. If you are looking for a specif part number, please include it with your message.